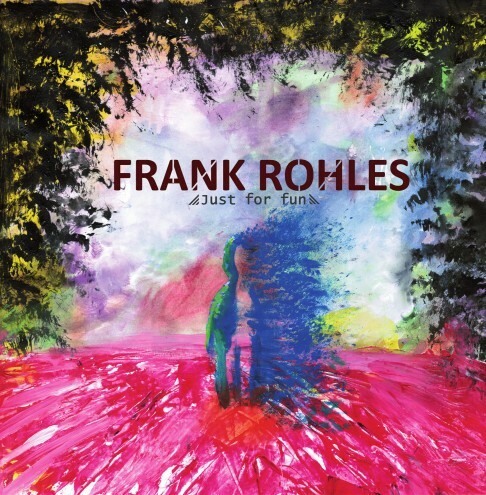 Frank Rohles has played on countless albums since releasing his debut solo album 'Watch Out' back in 1998. The multi-talented Frank Rohles wrote, produced, sang and played all the instruments on 'Just For Fun', except for the keyboards, where he enlisted his seventeen-year-old son Marc Rohles; the teenager also painted the image that appears on the album cover. The music on '...Fun' can be best described as Classic Rock with a Funky groove. 'Absolution' is a track that gently leads you into the album while 'Break Her Heart' has an up-tempo West Coast vibe and features some real interplay between father (guitarist) and son (keyboards) – a highlight and something that appears throughout the album. The pace is picked up with 'Driving Back' which brings to mind the AOR moments from the debut Oughton Tanera album as well as featuring some serious solos by both members of the Rohles family. 'Fire' Rocks it up whilst 'Get Down' is pure Funk Rock, and showcases some stunning guitar work as well as exceptional keys that belie the tender years of Marc Rohles. 'Guiding Light' is a ballad featuring a fantastic guitar outro; there's also an acoustic version that appears on the downloaded version, however, I personally prefer the electric version. 'House Of Cards' is another good Rockin' tune. The album was titled '...Fun' and that is exactly what father and son were having together. The title track features some Jazz-style keys but Frank Rohles' guitars always keep the songs very much in the Rock genre. No surprise that 'Let The Funk Out' has a Funk Rock groove similar to that of Lenny Kravitz whilst 'Welcome Home' is a ballad that highlights the warm production on the album. 'Who Would Have Thought' is a stylistically fine sound with a laid back, almost AOR vibe and is a personal favourite of mine. It has a very eighties Pop Rock feel featuring yet more fine interplay between guitars and keys which (as you can tell) epitomises the whole album.